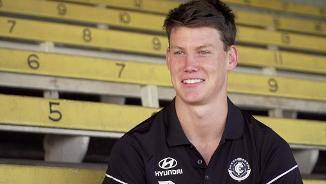 For Sam Walsh, the decision to continue his career in the Navy Blue was a simple one. The No.1 pick in the 2018 NAB AFL Draft, the one word to describe new Blue Sam Walsh is ‘class’. A smooth mover who mixes a strong running game with the ability to win his own ball, Walsh will complement Carlton’s young midfield mix extremely well. 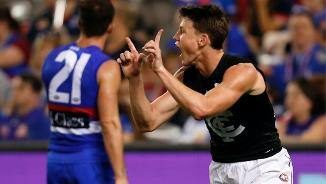 Despite his age, Walsh is a leader and someone Blues fans will latch onto for years to come. 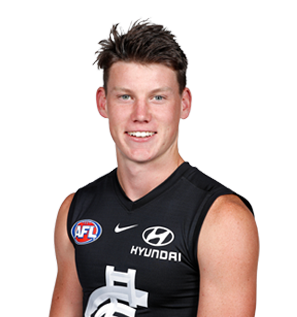 Draft history: 2018 NAB AFL Draft 1st round selection (Carlton) No.1 overall.